It should come as no surprise to see that Cheltenham Festival winners tend to take-in high profile meetings at elite tracks en-route to glory in March. The better racecourses usually hold the more prestigious events, attracting better prize money and thereby tempting leading trainers to send their yards most talented inmates. The Hennessy meeting at Newbury; Betfair Chase Day at Haydock; Christmas at both Kempton and Leopardstown, and Cheltenham’s Trials Day, are just some of those significant events that attract the best that jump racing has to offer. I had a quick look at where last year’s Festival winners ‘warmed-up’ for the big event, and the usual suspects sat proudly at the top of the pile. Leopardstown led the way, providing four winners, followed by Cheltenham, Kempton, Punchestown and Ascot with three apiece. Smaller tracks cannot be ignored, but more often than not, future Festival heroes will complete their preparation at the likes of Punchestown rather than Plumpton. And it’s an Irish racecourse that I wish to focus on for today’s Cheltenham Festival piece. Leopardstown host several top-class meetings throughout the winter, with leading trainers such as Gordon Elliott and Willie Mullins battling over prestigious and extremely valuable prizes. Their Christmas Festival often shines a light on those with a bright future. Races include the Lexus Chase, won in previous years by Best Mate, Denman, Synchronised and Bobs Worth. 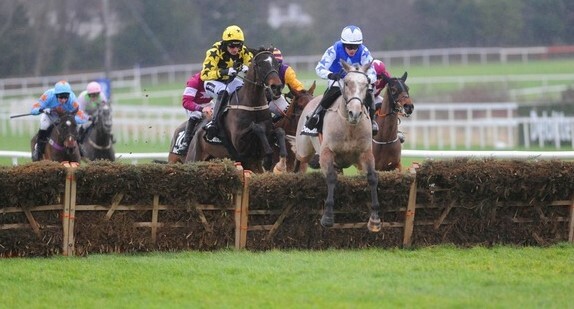 The Ryanair Hurdle (often known as the December Festival Hurdle) is another Christmas highlight, which is targeted by those with outstanding two-mile hurdlers. It has a roll of honour that includes, Istabraq, Brave Inca and Hurricane Fly. And there’s the Racing Post Novices’ Chase which has produced wonderful two-mile chasers, including, Native Upmanship, Moscow Flyer, Sizing Europe, and in 2015 Douvan. The length of time from Leopardstown at Christmas until the Cheltenham Festival in March clearly makes the meeting an unlikely event for final preparation’s, though it has been known. Timing plays a major part in all sport, and having a horse ‘cherry-ripe’ for the Festival is a crucial factor in having any hope of success. That’s sure to be in the minds of connections as they send their best hopes to Leopardstown in early February. It’s this particular meeting that has provided so many pointers to Cheltenham success in recent years. With several prestigious races on the card, the timing of the event (usually five weeks prior to The Festival) fits in perfectly with those trainers targeting Jump racing’s Olympics. The Grade 1 Spring Juvenile Hurdle usually attracts the best four-year-old’s in Ireland, with an eye on the Triumph Hurdle in March. The race doesn’t always go to plan for the ‘leading lights’, but a Festival winner is likely to be lurking among the contenders. Four of the last five Triumph winners have prepped in this, though only one of those won the Leopardstown race. Our Conor was that exceptional juvenile, and he romped to victory in Ireland before destroying the best youngsters at Cheltenham in March 2013. His 15-length success was extraordinary, and he looked set to become a star of the sport. Tragedy struck the following March, when a fall in the Champion Hurdle cost him his life. Last year Ivanovich Gorbatov flopped in unsuitable heavy ground at Leopardstown, but proved a different beast when arriving at Prestbury Park. He defeated Apple’s Jade, Footpad and Let’s Dance in lifting the Triumph Hurdle, under a classy ride from Barry Geraghty. Tiger Roll finished second to Guitar Pete in the Leopardstown event of 2014, but improved plenty to reverse the form at Cheltenham a month later. And in 2012 it was Countrywide Flame that could only manage third at Leopardstown, before once again reversing Irish form in capturing the main event at Cheltenham. Unaccompanied only just failed in her bid to win the Triumph, when second to Zarkandar in 2011, a month after winning the juvenile hurdle at Leopardstown. Mega Fortune and Bapaume came first and second in the Spring Juvenile Hurdle a couple of weeks back, and will head to Cheltenham as leading contenders for the Triumph Hurdle. Soft ground possibly suited Gordon Elliott’s runner, though the stiff finish in March will also be in his favour. Bapaume got the better of their encounter at Christmas on a sounder surface, and they look closely matched. Along with strong recent Triumph clues, Leopardstown in February is host to the Deloitte Novice Hurdle, so often another strong Festival pointer, especially for the Supreme and Neptune. In its time the race has been won by Istabraq, Like-A-Butterfly, Brave Inca, Champagne Fever and Vautour. The 2016 renewal failed to produce a Cheltenham Festival winner, though Tombstone and Petit Mouchoir ran well in the Supreme, and are now contenders in a wide-open renewal of the Champion Hurdle. In 2015, Nichols Canyon defeated Windsor Park in the Deloitte, but when the two met at Cheltenham it was the latter that gained revenge when winning the Neptune Novices’ with Nichols Canyon back in third. Vautour and Champagne Fever won the prestigious Leopardstown event in 2014 and 2013, before going on to Supreme Novices’ glory. Willie Mullins was responsible for the first and second home this time around. Bacardys finished powerfully to get the better of the classy looking Bunk Off Early. The former has the potential to go close in the Neptune, whilst the latter is likely to head for the Supreme Novices’. The Flogas Novice Chase is another that has provided plenty of Festival clues over the years, though has been less fruitful in the last couple of years. In 2013, Lord Windermere came third before going on to take the RSA. Bostons Angel won both in 2011, and Weapon’s Amnesty finished runner-up at Leopardstown before winning the RSA of 2010. In 2009, the winner and runner-up went on to Cheltenham Festival glory, when Cooldine, having won in Ireland went to the Cotswolds to capture the RSA, with Forpadydeplasterer taking the Arkle. This year’s Flogas looked a classy affair, and though Our Duke will not be heading over to Cheltenham, there’s every chance that Disko will prove a tough nut to crack in either the JLT or the RSA. Finally, a mention for the Foxhunters at Cheltenham, with the Leopardstown Hunter Chase providing the winner on so many occasions. Indeed, the last five renewals have delivered the last five Festival winners. On The Fringe is a dual winner at Prestbury Park, and the way he ran a couple of weeks back behind Foxrock gives hope of a hat-trick. Prior to him, Tammys Hill and Salsify (twice) completed the double. Studying the results from Leopardstown’s February meeting has proved fruitful in recent years, and I’ll be hoping that 2017 follows a similar pattern.